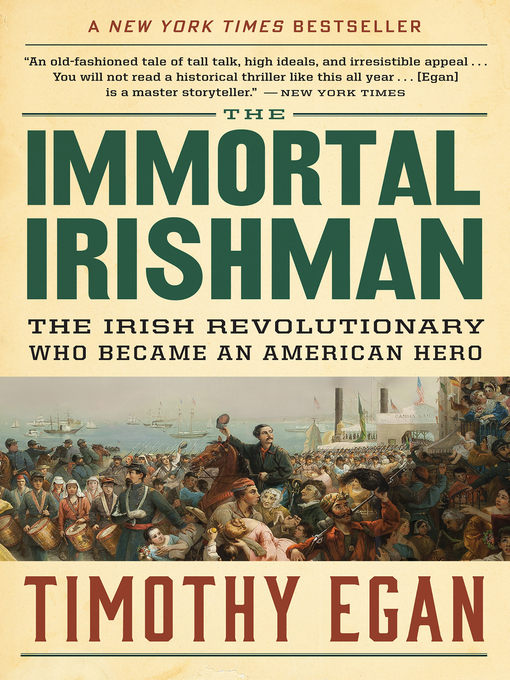 In this exciting and illuminating work, National Book Award winner Timothy Egan delivers a story, both rollicking and haunting, of one of the most famous Irish Americans of all time. A dashing young orator during the Great Hunger of the 1840s, Thomas Francis Meagher led a failed uprising against British rule, for which he was banished to a Tasmanian prison colony for life. But two years later he was "back from the dead" and in New York, instantly the most famous Irishman in America. Meagher's rebirth included his leading the newly formed Irish Brigade in many of the fiercest battles of the Civil War. Afterward, he tried to build a new Ireland in the wild west of Montana—a quixotic adventure that ended in the great mystery of his disappearance, which Egan resolves convincingly at last.